It’s been a topsy-turvy journey since then. The city hit a brewing peak in the late 19th century -- Brooklyn alone supported 48 breweries, and that was only half the city’s total. Then beer hit a steady decline thanks to bad crops, decreased demand, the growing popularity of national companies like Anheuser-Busch and, ya know, Prohibition. By the 1970s, we stopped brewing all together, and it took more than 10 years for us to get our mojo back and slowly start up again. Today, NYC is home to 38 breweries -- a number that continues to grow -- and the brewskis we’re producing are better than ever. 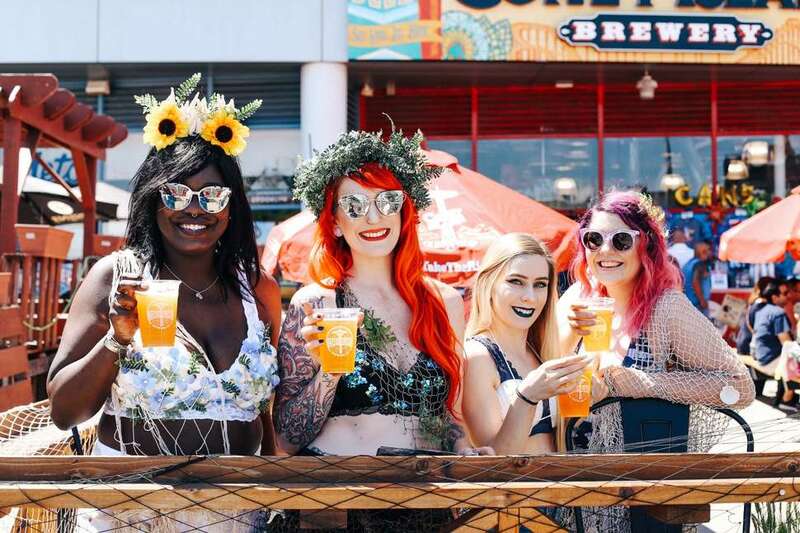 “The brewers in the city are not only making great beer, but they are transforming neighborhoods and bringing back the brewing scene to what it once was before Prohibition,” says Paul Leone, executive director of New York State Brewers Association. In a sudsy landscape, where should you drink? Thanks to our storied NYC water, practically anywhere -- but here are a few of our personal faves to get you started. Cheers! At first glance it’s easy to confuse Big aLICe’s beer menu with a grocery list. Sweet potato, jalapeño, and lemongrass are among the ingredients in some of their most beloved brews. 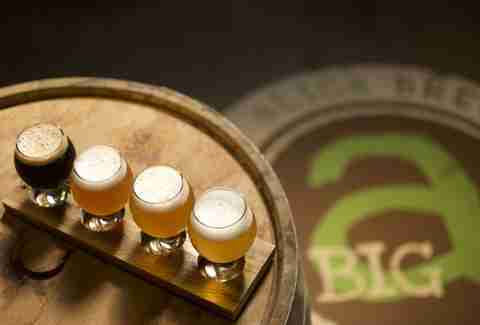 It gives them a creative edge, and makes this small-batch farm brewery a foodie’s fermented heaven. Before you know it, you’ll start fantasizing about home-brews on each visit to the farmer’s market. Best Brew: NYS Pils, a crisp and refreshing pilsner for steamy summer days and nights; $7. We’ve explained our love of KCBC, and here we go again! 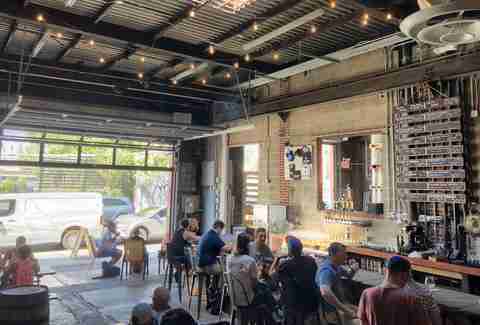 TLDR: this brewery is producing liquid gold and embodies Brooklyn’s borough-wide appreciation for unfussy quality. The “Collective” in their name isn’t just hipster lip service -- one of the draft lines in their taproom is exclusively reserved as a “Local Talent Tap” for beer brewed in collaboration with nearby industry friends, because there’s no “I” in “team” (or in “hella tasty beer”). Best Brew: Bushwick Zombie, a zippy raspberry peach sour with a soft finish; $18 for a four-pack to go or $7 for a glass. This beer can’s glamour shots get more likes than your selfies ever will. We’d be jealous if they didn’t taste so good. Other Half’s beer is considered by many to be the best in the city, if not the state, and with a great reputation comes great crowds. Be prepared for lines around the block to pick up a sixer … or pay someone to wait for you. Get there early for beer to stay, too -- the taproom gets crowded. Best Brew: Triple Mosaic Daydream, a creamy dry-hopped IPA with a whopping 10.5 ABV. “America’s Playground” gets better every year, and so does its resident beer. 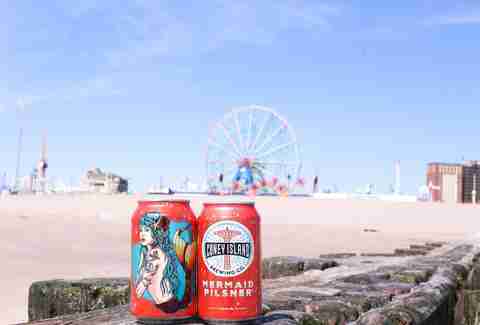 Coney Island Brewing Company’s Mermaid Pilsner is available in many neighborhood bars and bodegas, but it’s worth your trip to the end of the B, D, F, and N lines to sample some of their limited release brews, available only on-site. Pop by the Coney Island Cyclone after a few cold ones for 60-mph, 60-degree plunges. Best Brew: Pride 365, a New England-style IPA with notes of guava and melon; $14 for tall-boy four-packs or $8 for a pint. When at last you need a break from IPAs, where will you turn? (Never gonna happen, you say? Expand your horizons, dude.) 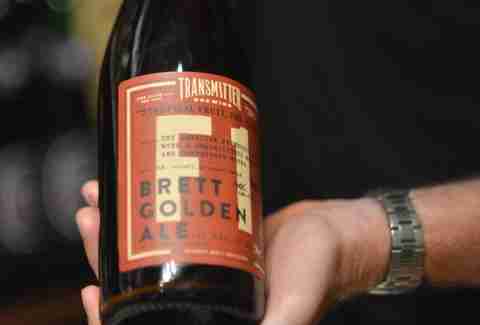 Transmitter Brewing, tucked beneath the ever-scenic Pulaski Bridge, is New York’s premier destination for farmhouse ales. Beers are poured out of bottles rather than taps, so you can get your bad and boujee on, too. Old MacDonald would lose his mind. 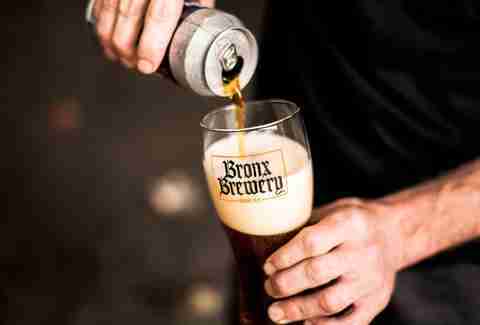 If you’ve had any New York beer, you’ve had a Brooklyn Lager, probably the most widely recognized beer coming out of New York City this century. 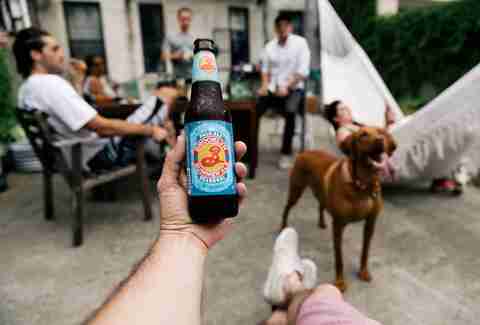 Renown doesn’t negate quality: The brand is iconic because the beer is good. This truly is a hometown brewery, too. Brooklyn’s co-founders were among the first to bring craft beer back to the area in the 80s, and the company employs many folks from the neighborhood. Best Brew: Brooklyn Bel Air Sour, a dry-hopped ale with peppy notes of tropical fruits with a crisp, refreshing finish; $6 in the tasting room. While Rockaway Brewing did indeed originate in the Rockaways, the grunt wort (rimshot goes here), a.k.a. 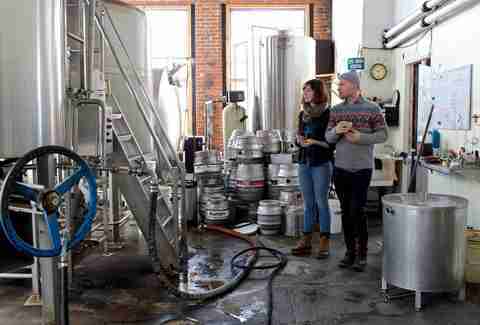 brewing magic, currently happens in the craft beer hub of Long Island City. You can still visit its tap room out by the beach and pair your flowing beer with sunshine, surfing, and tacos. Best Brew: DaBeach, a smooth bodied session IPA with light citrus notes; $7 pints. New brewery alert! Grimm has been brewing locally for the past five years -- founders Lauren and Joe Grimm would develop recipes in their Gowanus home, then produce the beer at various existing breweries. In June they finally opened a brewery and taproom to call their own, and it has become an instant summer hotspot. Arrive early to beat the crowds. Best Brew: Tracery, a Saison de Coupage blended in the traditional style with barrel-aged and fresh beer: 30% barrel aged sour beer, and 70% young saison hopped with hallertau and tettnang. The outcome is perky, thirst-quenching, and a little funky; $6 for an 8-ounce bottle pour. If the closest you’ve been to the Bronx is Cardi B’s Instagram, then get thee to the BB. 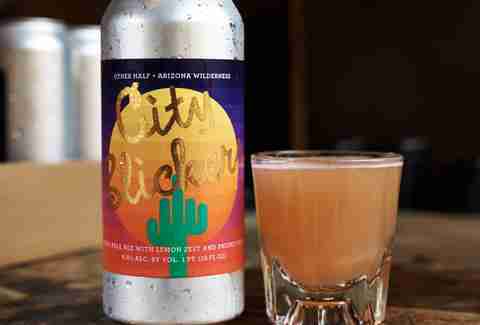 This craft brewery channels its no-nonsense borough, and partners with community organizations that support the arts and improve the environment locally. 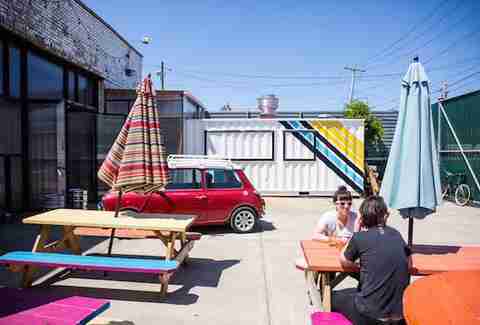 An afternoon spent in the tap room’s backyard with a DJ, food trucks, and Summer IPA is a fine introduction to the neighborhood. Best Brew: No Resolutions IPA, a juicy, malty 7.6 ABV bev made with a mix of five different hops resulting in big flavor; $7 for a 16-ounce pour. 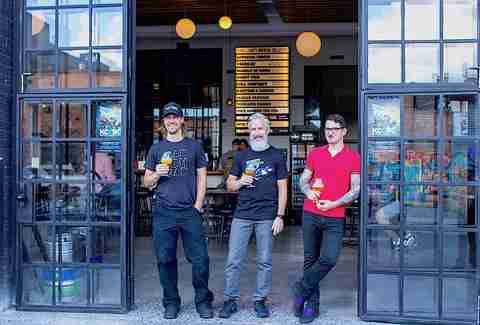 Open less than a year, Fifth Hammer has already made quite the mark on New York’s brewing scene. Named for the legend of the Greek philosopher Pythagoras discovering the secrets of harmony by way of five hammers, the brewery’s subtle hammer-themed décor decorates the space. The beer list rotates regularly, so don’t get too attached to a certain pour. We’re waiting for the return of the Flavor Gravy stout, which was purportedly named after the owners’ cat. Best Brew: Always the Aardvark, a hoppy New England IPA with notes of pineapple, citrus, honeysuckle, and melon; $8 for a 12-ounce draft. Jenny Hart is a Brooklyn-based writer and licensed New York City tour guide. She gives craft beer tours in Brooklyn and Queens, packed with good brews, interesting history, and endless dad jokes. Use the code UANYC12 for 10% off any booking.